Throughout this series I've explored a wide range of natural and organic beauty products but haven't delved much into haircare. It may not be the first thing you think of in terms of cleaner beauty products, but your hair and scalp can benefit from more natural ingredients too. Thankfully it doesn't have to come at a high price point because OrganicHead products can be found at Target at budget-friendly prices. There are shampoos, conditioners and treatments such as the Argan Oil Detox Hair Masque, that I've been enjoying the last few weeks. This hair masque is rich and moisturizing as you might expect, but it also does much more for your hair. It provides shine, volume, and deep cleans to remove product build up. How to | Wash hair and towel dry. Dampen the included hair towel and heat in microwave for about 30 seconds. Apply masque to hair from mid-length to ends. Wrap hair in dampened towel and leave for up to 25 minutes. Rinse and style as usual. Enjoy this treatment once a week. While it definitely requires a dedicated span of time to use this masque, I have to say my hair really benefits from this treatment. This time of year I use styling aids to smooth and retain my waves so product build-up is inevitable. 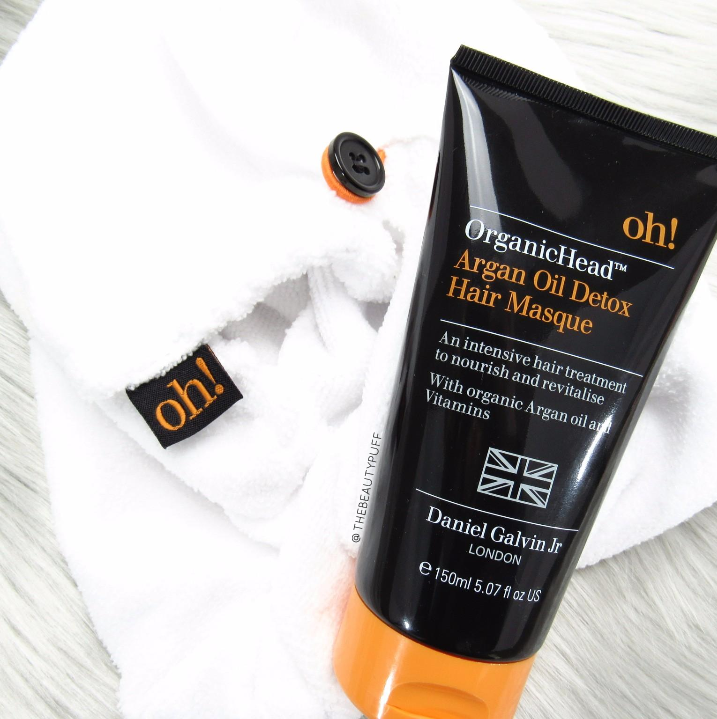 This masque reduces the build-up, keeps my hair silky smooth and hydrated, and provides volume at the same time. I love how this masque addresses all my hair concerns at once. Plus, I'm getting some much-needed pampering at the same time! OrganicHead products are available at Target and Target.com.